Lethal Weapon is about to lose the other half of its original duo. Mere months after Fox and Warner Bros. Television fired Clayne Crawford from Lethal Weapon following heated on-set conflicts, Damon Wayans has announced he's also dropping out of the series. "Why is he leaving?" one would reasonably ask. Well, in the actor's own words, he's simply too old to be working as hard as he has been on Lethal Weapon. 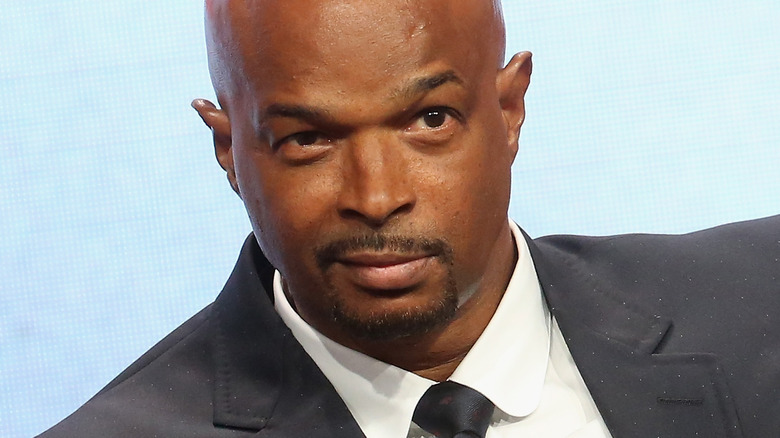 Wayans, who plays Los Angeles Police Department Detective Roger Murtaugh, told Eurweb.com that he will depart from Lethal Weapon after he wraps up production on the 13 episodes of the series' upcoming third season that Fox has already ordered. "I'm going to be quitting the show in December after we finish the initial 13," Wayans revealed. "So I really don't know what they're planning, but that's what I'm planning. I'm a 58-year-old diabetic and I'm working 16-hour days … It's hard for me to play this loving, supportive father/husband/friend on TV, but be the guy in life that is telling everyone, 'I can't, I have to work.'" After confirming that he's totally "done" with Lethal Weapon and that he definitely isn't kidding about leaving, Wayans quoted a line his character once delivered: "Like Murtaugh said, I'm too old for this." The actor then explained that his focus post-Lethal Weapon will be to seek out happiness. "I'm going to return to the stage and try to find my smile again," said Wayans. It was relatively easy for Fox and Warner Bros. Television to tap someone new to take Crawford's spot on Lethal Weapon (they ultimately went with Seann William Scott, who now stars as war veteran and father Wesley Cole), but it might be a different story when it comes to replacing Wayans. Will the studios even bother trying to add another lead into the mix? Will they end up axing Lethal Weapon, thinking it not worth the effort to keep alive once Wayans is out of the picture? And if Lethal Weapon doe live on and someone new joins the cast to star opposite Scott, will viewers stick around? We have many questions but very limited information, unfortunately, so those questions will have to go unanswered. For now, Lethal Weapon fans are just going to have to live with the pain of uncertainty and try to keep it together as they watch the series' third season knowing it'll be Wayans' last.